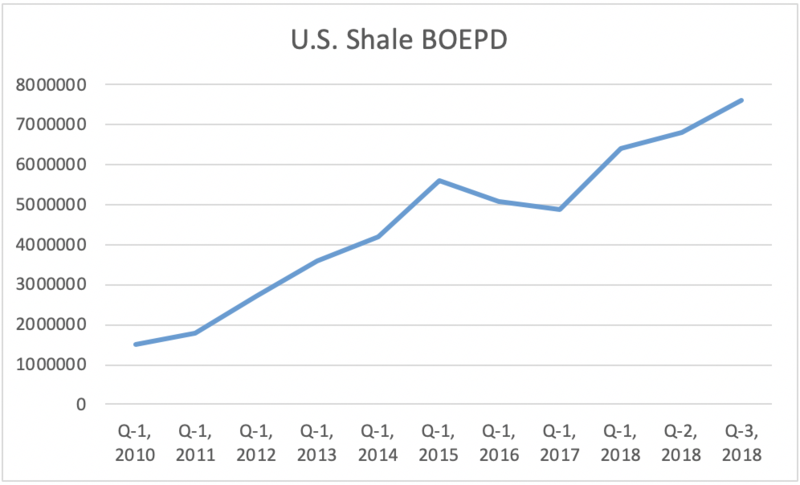 Recently, there has been some concern about the ability of U.S. shale, and in particular, the Permian Basin, to continue the meteoric increases in production that have characterized the past decade's boom. Growth in U.S. shale production since 2010 has led to a scenario no one ever imagined even a few years ago. America is now an energy exporter, sending cargoes of oil and LNG around the world. The data shows a rapid production ramp from 2010 as horizontal drilling and fracking technology replaced vertical wells. This continued and even accelerated through the end of Q-4, 2014 as DUCs (drilled but uncompleted wells) were brought online. The decline of Q-1, 2015 reflects the impact of the oil price drop that actually began in mid-2014. The new ramp beginning in 2017 reflected the new lower costs from suppliers and the effects of the improved well and frac designs. It was Schlumberger’s CEO, Paal Kibsgard who first commented on a decline in productivity that was being observed in multi-lateral completions, often called “child” wells. In their third quarter 2018 conference call with analysts he made some remarks that were likely misunderstood by them but subsequently received wide reporting in media outlets. The perception taken away from these remarks was that Kibsgard was saying that it was the quality of the reservoirs that was creating a fall-off in child well productivity that could lead to a decline in production down the road. That wasn’t what he meant however and in later remarks, that were largely skipped over, he explained how technology is favorably impacting the results the frackers are seeing it is applied. First, here is the quote from that sent everyone into a tizzy. 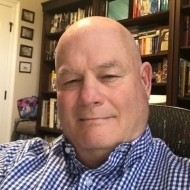 “In the Permian, the percentage of child wells in the Midland Wolfcamp basin has just reached 50 percent and we are already starting to see a similar reduction in unit well productivity to that already seen in the Eagle Ford suggesting that the Permian growth potential could be lower than earlier expected. Therefore, assuming that oil demand will remain robust despite the trade war worries and market concerns around economic weakness in the emerging markets, we believe that the level of E&P investment must increase both internationally and in North America first of all to counter the multiyear drop in investments and second to develop and deploy the new technologies needed to overcome the emerging shale oil production challenges,” according to an earnings call transcript. What changed beginning in 2017? Let’s acknowledge that shale fracking is still a relatively new oil province. As shown in Fig.-1, prior to 2010 shale regions contributed a minor amount to U.S. total production. Given that, it’s only fair to agree the initial period involved some trial and error to see what worked, provide some data for analysis and final adjustment. - Extending the lateral section by 60-80 percent, to where these lengths now routinely run 9,000-10,000’. - More sand per foot (PPF) of an interval with current designs calling for as much as 2,500 PPF. Over a 10,000 foot interval that’s a huge volume of sand and water. - Closer well spacing. Operators have an obvious incentive to avoid well construction costs. Spacing the wells closer to each other can accomplish this goal. The message Kibsgard really meant to convey was that while changes implemented by operators in the previous year were good, after all they were making more oil, over time there might be a price to pay in lost production. He was saying there was available technology that wasn’t being fully deployed to ensure optimal long-term reservoir EURs (Estimated Ultimate Recovery). Technology that could give the operators a better understanding of the reservoir they were producing. 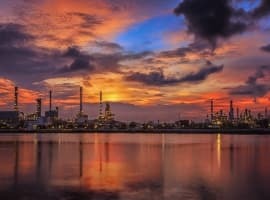 One of the direct outcomes of the oil price collapse of the last few years is the ironclad determination of operating companies to tightly rein in costs, as has been discussed. This was vital to the resurgence in drilling and completions we saw commence in 2017. But, a consequence of this tight-fistedness is the difficulty in convincing them that technology is worth paying for. And, that of course, is the rub. Technology has to be paid for initially for it to deliver on its promise of improved results. Fortunately, it seems many operators are getting the message. One of the big problems that the industry has started to recognize in conjunction with the more aggressive reservoir treatments were “frac hits”. These effectively cannibalize the production from the parent well by the proximity of the child well. 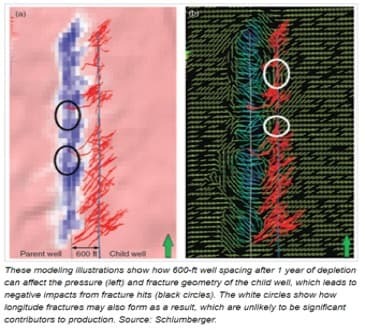 Shown in Fig.-2 is a modeling example of the closeness of well spacing impairing the integrity of the completions. Oil operators have been regularly improving and beating their own oil production forecasts. In a random survey for this article the recent results of several large U.S. Shale operators were tallied. All showed consistent and, in some cases, dramatic quarter over quarter increases in oil tallies. Several other oil companies have been reviewed recently as well including BP, Chevron, and Occidental Petroleum. All have met or exceeded the production increases of the companies in the chart below. In particular, OXY one of the larger Permian producers increased oil liftings by 54 percent year over year. 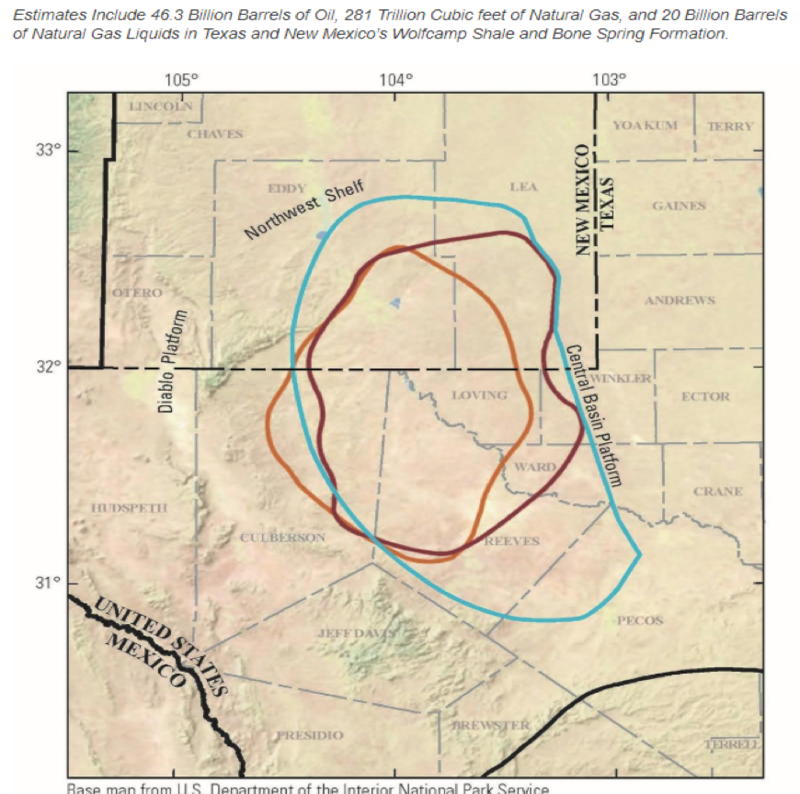 The map below from the U.S. Geophysical Society, USGS, reveals a recent reassessment of the extent of the Delaware sub-basin in the Permian. 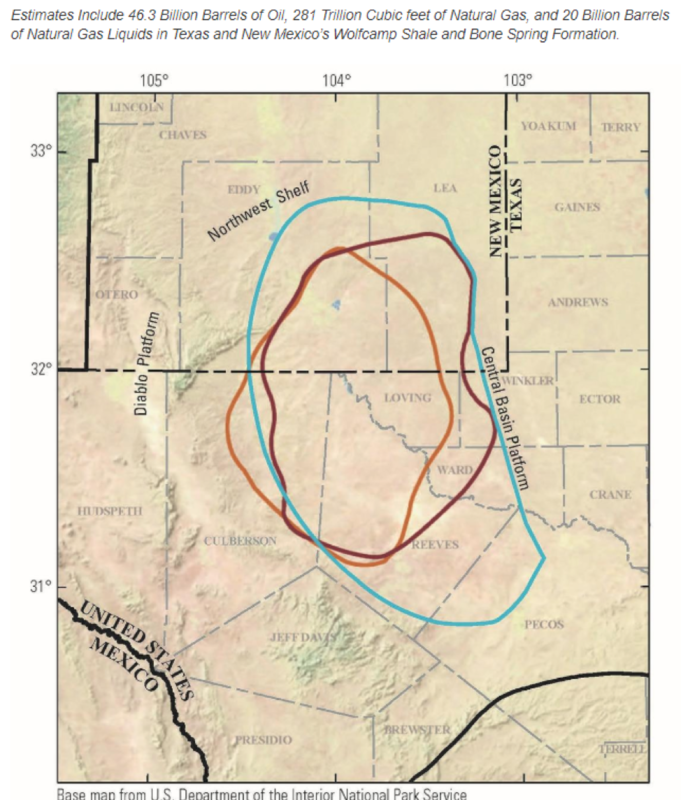 What it suggests is that this basin is twice the size of previous estimates, with total estimate for hydrocarbons of all forms running as high as 100 billion barrels. This is good news for American shale producers. It shows that rather than entering a period of stagnation and early decline a few years hence due to poor reservoir conditions, the industry is just getting its legs under it. Further, it shows that technology can play an absolute role in maximizing ultimate recoveries from shale wells. This can have a big impact on both lessening our increasing energy dependence on foreign sources, and providing a source of export dollars to other countries. There are tremendous resources available as the graphic below suggests, and it is up to the producers to extract it efficiently, and for maximum benefit to the nation. With all due respects to the author, I just like to say he is confusing technological possibility with economic viability. WTI at $50 a barrel, almost all shale producers have no positive cash flow let alone any real net profit. look all those shale oil producers share prices, all lost 30% of their value last 6 months. So may I ask him a simple question: why are we extracting shale oil for? To prove USA has the superior technologies to extract as much shale oil as she desires while burning investors money ? I missed the part of the article where he discussed the shale producers balance sheet and their high debt load. Hi, there is a new engine design on the market called 'central compression piston engine' that nobody have ever studied yet. It is supposed to do 70 mpg on a loaded tractor-trailer van with almost no pollution. This design greatly reduce engine compression losses and multiply the power of the expansion cycle ( power stroke ). I can further explain this if people are interested to stop climate change and petroleum consumption. 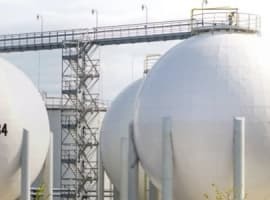 The demise of the US shale oil could be within the next 5-10 years with reports about a slowdown in US shale oil production coming thick and fast from different sources. The first source is the disclosure by the Wall Street Journal (WSJ) that US shale companies have over-hyped the production potential from thousands of shale wells. According to the WSJ, two-thirds of projections made between 2014 and 2017 in America’s four hottest drilling regions appear to have been overly optimistic according to the analysis of some 16,000 wells operated by 29 of the biggest producers in oil basins in Texas and North Dakota. 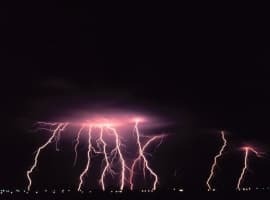 The second source comes from comments made by top oilfield service firms ‘Schlumberger and Haliburton’ in the third quarter of last year that shale companies were slowing drilling activity. Pipeline constraints, well productivity problems and “budget exhaustion” were leading to weaker drilling conditions. The third source comes from MIT and many other authoritative organizations accusing the US Energy Information Administration (EIA) of overstating US oil production. 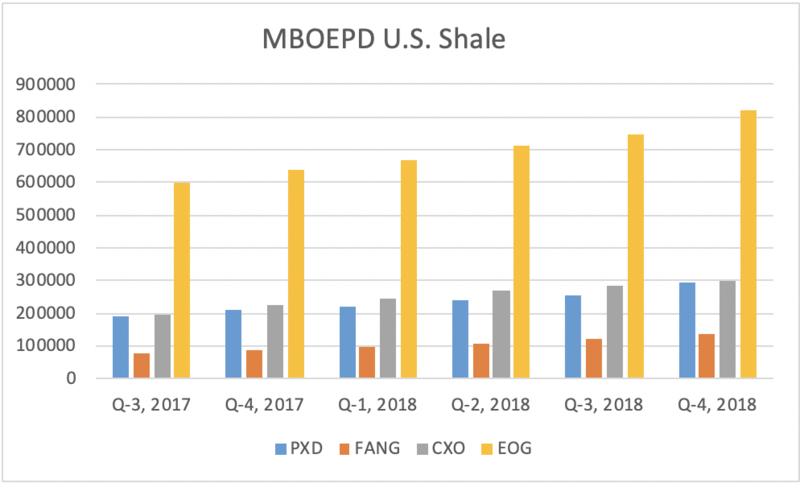 Claims by the EIA about explosive growth of US shale production including the projection that US oil production will exceed 12.3 million barrels a day (mbd) in 2019 are pure hype. Also the claim that US oil production reached 11.7 mbd in 2018 is overstated by at least 3 mbd made up of 2 mbd of liquid gases and 1 mbd of ethanol all of which don’t qualify as crude oil. In fact International Exchanges around the world don’t consider them as substitutes for crude oil. And if the International Exchanges don’t accept them as substitutes, then they are not crude. Therefore, US oil production could have been no more than 8.7 mbd in 2018. The US shale oil industry will remain an indebted industry no matter what the level of oil prices is. Still, US shale oil producers will never stop production for two reasons. The first is that the US shale oil industry is not judged by standard criteria of economics and profit that govern conventional oil companies otherwise it would have been declared bankrupt years ago given the hundreds of billions of dollars it owes Wall Street. It has to keep producing irrespective of oil prices just to remain afloat. In other words, the US shale industry works on the principle of “robbing Peter to pay Paul” supported by Wall Street investors. The second reason is that despite being very deeply in debt, the US shale oil industry will continue operating because it gives the United States a say in the global oil prices and markets along with Russia and Saudi Arabia. Without that, the EIA will not be able to hype about the US becoming the world’s top oil producer or the US is now a net oil exporter. This raises huge question marks about the future of the US shale industry. If the industry is still not profitable – after a decade of drilling, after major efficiency improvements since 2014, and after a sharp rebound in oil prices – when will it ever be profitable? Is there something fundamentally problematic about the nature of shale drilling, which suffers from steep depletion rates estimated at 70%-90% over relatively short periods of time and requires constant spending and drilling to maintain? Because of its steep depletion rates, US shale oil producers have to drill at least 10,000 wells every year at a cost of an estimated $50 bn just to maintain production. Soon there will come a time when the US shale oil industry will neither have the space nor the financial resources resource for more drilling having reached the point of diminishing returns. I just wonder how long this bubble can last in view of the near ubiquitous absence of any profit by most producing companies. Each year yet more technology is apparently rolled out that is miraculously going to boost productivity and profitability, oh, and extend well life. The long litany of excuses appears to have no ending which makes it ever more worrisome. There is no doubt that the impressive increases in production have been nothing short of miraculous, equaled only by the the impressive amount of debt that has been accrued, that looks unlikely to be ever paid off. Maybe I am missing something, but I know that I am not alone in wondering how this is all going to end. Pall Kibsgard was not quoted out of context. I think he was being honest, setting the stage for when the money runs out, because it will be Schlumberger that will also take a hit.